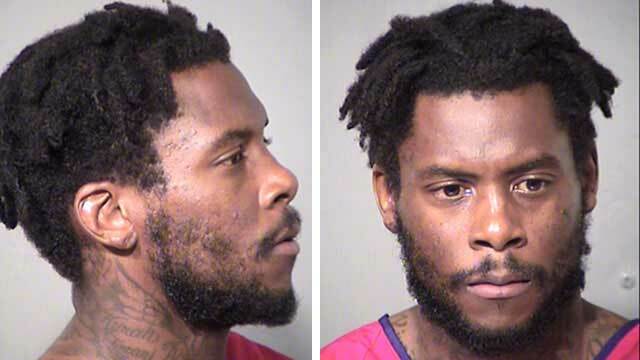 Former Browns and Dolphins wide receiver Davone Bess is facing charges after allegedly getting into a standoff with police at his suburban Phoenix home. Bess, 30, later ran home and barricaded himself there for several hours. SWAT officers were able to extract Bess, who was arrested for endangerment, felony flight and failure to stop for a police officer. According to charging documents, Bess was stopped in Gilbert late Sunday for driving without his headlights on. Davone Bess was arrested Monday after a bizarre standoff with police that required a SWAT team to remove the former NFL receiver from his home in Gilbert, Ariz. The documents say he pointed his finger like a gun at officers and moved it up and down, mimicking firing a gun. Police say Bess then fled to his home, where he waved a knife while still in his car. According to Cleveland.com, Bess was released by the Browns in 2014 after some bizarre behavior and an arrest for assaulting a police officer.